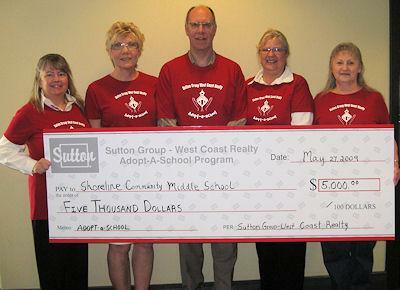 The REALTORS® at Sutton Group – West Coast Realty have come together to create an ongoing community program called Sutton Adopt-a-School. 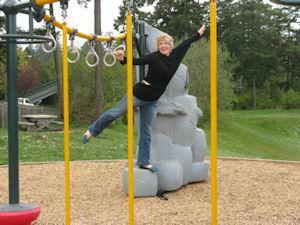 We started the campaign in June 2008 with Shoreline Community Middle School as the first adoptee and as of March 1, 2009, reached our objective of raising $5,000 to complete the Shoreline Community Playground. The Adopt-a-School committee, comprised of volunteers from Sutton, chose George Jay Elementary for the 2009/2010 school year. 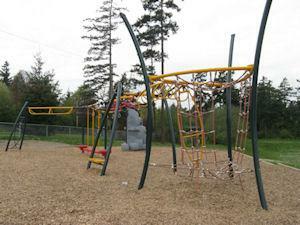 We believe kids are our future and want to participate in community partnerships to make the greater Victoria area the best it can be for our future generations. Sutton Adopt-a-School committee is Vic West Elementary for 2010/2011.